Treat your damaged hair to our enriching conditioners. Give your hair the VIP treatment it deserves at your local Regis salon with our in salon treatments. Choose a professional perm, expert straightening, or specialist conditioning treatments that nourish and replenish your hair from the inside out. Get assured results in very first week, added homoeopathic medicine for best result in every conditions, no side effects. Hair care is an overall term for hygiene and cosmetology involving the hair which grows from the human scalp and if not taken care of hair. Hair loss affects millions of men and women and can be a difficult and emotional problem for many. Fortunately, there are effective preventive measures that one can take. If the progressing hair loss is diagnosed early then there are successful treatments. Arrest your hair fall and prevent getting bald with a variety of advanced treatments offered at our centre. We have treatment for all types of hair fall. We give Individualized treatment to every customer based on type of hair, duration and degree of hair fall. Stop Hair Fall and have smooth, silky and shiny hair with our offered hair fall treatment. The hair fall treatments include effective and quality hair fall remedies according to different types of hair. We have different hair loss treatment for dry hair, rough hair, oily hair, split ends, etc. Hair Fall treatment is always a big concern. 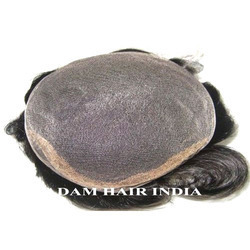 Hair Fall its thinning and graying is an alarmingly important concern and priority which is an essential ingredient of our identity and a crowning glory. The concern may be exaggerated in special patients groups like people in prominent locations working as CEO’s PRO;s, young individuals seeking partners, Students, youth, employees and almost all. Care n cure health clinic has become the epicenter of trusted India's top rated award winning hairloss, alopecia, dandruff, slimming, skin, thyroid, cholesterol, infertility, diabetes, piles, sinusitis, and other homeopathic treatments in Bangalore, India. We treat all types of hair loss with our natural formula.